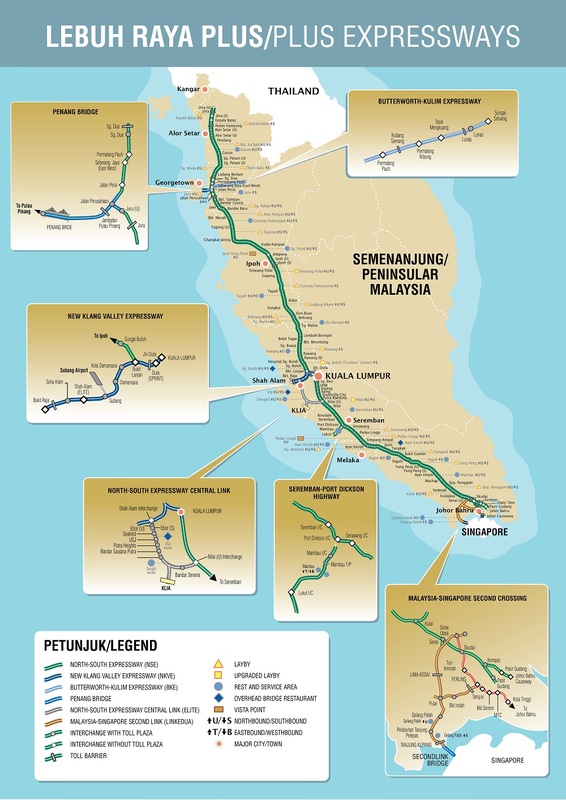 The NSE is the longest expressway in Malaysia with the total length of 748 kilometres running from Bukit KayuHitam in Kedah near the Malaysia-Thai border to Johor Bahru at the southern portion of Peninsular Malaysia. The expressway links many major cities and towns in western Peninsular Malaysia, acting as the 'backbone' of the west coast of the peninsula. It provides a faster alternative to the old federal route, thus reducing travelling time between various towns and cities. Constructed in phases over a period of seven years, the NSE was officially opened on September 8 1994, signaling the coming of age of Malaysia's road transportation system.